For the best solution, choose lenses and frames from Vision Source. The right eyewear perfectly balances performance and beauty. You want to look great and feel great. But you also want to see clearly in every condition, like when there is too much light, or maybe not quite enough; when you are reading up close and also when looking down the road. 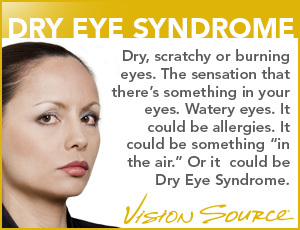 Vision Source has the right solution for your needs. Love modern shapes and colors that wow? Or do you prefer classic and conservative styles? New Jersey Vision Source optometrists offer a comprehensive line of frames perfect for your style and budget. Check out some of our featured brands here, or stop by one of our conveniently located state of New Jersey offices.